I have a bit of a travel bug biting me these days. If it weren't for small children, I would be a flight attendant so I could travel the world. This book helped put things in perspective because he often stated that people are so different, yet so similar everywhere you go. I recommend it as a fun book to read, but not one you drop everything for. 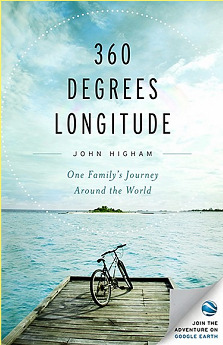 Here is the gist of the book: " After more than a decade of planning, John Higham and his wife September bid their high-tech jobs and suburban lives good-bye, packed up their home and set out with two children, ages eight and eleven, to travel around the world. In the course of the next 52 weeks they crossed 24 time zones, visited 28 countries and experienced a lifetime of adventures." They attempted to do this on two tandem bikes! 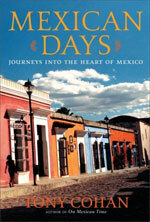 See the author's website here. So far, his writing is super fluffy and wordy. Hopefully it will be a quick read. I am interested in traveling to Mexico, Central America, and South America someday so leave a comment if you know of any good pop-travel books I just have to read.